Dit boek is een must read. Het geeft echt een nieuw licht op de gebeurtenissen die plaatsvonden op 11 september 2001, puur vanuit wetenschappelijk oogpunt. Dit is een smoking gun op nog niet eerder vertoonde schaal met zeer grote implicaties. Ben je geen lezer? Klik dan in ieder geval even onderstaande video aan. Over a half mile of vertical building height, containing nearly 150 football fields of floor space, was reduced to a near-level field of dust and debris, where rescue workers walked horizontally or rappelled into empty caverns to look for survivors. How was this possible given the standard laws of engineering and physics? The 9/11 Commission Report bypassed this central issue, as did the report of the Federal Emergency Management Agency (FEMA). Contrary to its stated objective of determining “why and how WTC 1 and WTC 2 collapsed,” the National Institute of Standards and Technology (NIST) made the stunning admission that it did not investigate how the towers fell. Neither the standard view–that the Twin Towers collapsed from fire–nor the standard opposition view–that they were intentionally detonated by “thermite explosives”– explains the evidence, nor do they follow the laws of engineering and physics. Dr. Wood left Clemson to research the 9/11 conundrum full time, and she has focused her research strictly on physical evidence and scientific principles. 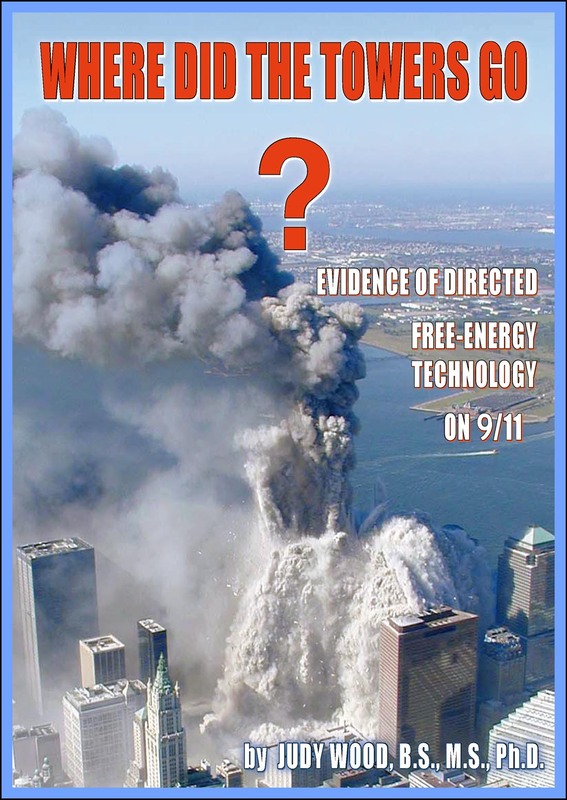 “Where Did the Towers Go?” provides an understandable, credible, and photo-enhanced summary of Dr. Wood’s disturbing findings, which resulted in her lawsuit against the contractors of the NIST report. "This is not only “The New Investigation,” it is the only comprehensive-forensic investigation to date in the public domain. As of this publication only one person — myself, Dr. Judy Wood— has conducted a comprehensive investigation to determine what happened to the World Trade Center (WTC) complex. This was part of the federal qui tam (whistleblower) case I filed (2007) in which I accused the defendants of science fraud. This book is a summary of the physical evidence submitted in my federal qui tam case accusing the defendants of science fraud. NIST was mandated by congress to “Determine why and how WTC 1 and WTC 2 collapsed…” yet NIST admitted to me that they did not analyze the “collapse.” The contractors they hired with taxpayer money knowingly allowed the fraudulent report to become final." "This book contains physical evidence, not theories or speculation, but physical evidence that is overwhelming and conclusive as to what happened. But for the record, I do not believe that our government is responsible for executing the events of 9/11/01; nor do I believe that our government is not responsible for executing the events of 9/11/01. This is not a case of belief. This is a crime that should be solved by a forensic study of the evidence. Before it can be determined who did it, it must first be determined what was done and how it was done." GET THIS BOOK HERE - AN AMAZINGLY RESEARCHED PUBLIC TREASURE! Uiteindelijk zullen we ons niet de woorden van onze vijanden herinneren, maar de stilte van onze vrienden. Adyashanti: There is only One!